No flower embodies love and romance quite like the rose. The essential oil of rose Rosa damascena (Mill.) is also known to provide psychological and emotional support when added to a bath blend or diffused into the air. It’s a mood booster that can promote joy, relaxation, as well as memory and mental clarity. With Valentine’s Day on the horizon, why not try experimenting with an essential oil that’ll give you warm fuzzies on the inside? Whether or not you’re sharing this Valentine’s Day with a special sweetheart, you’re pretty special year-round. 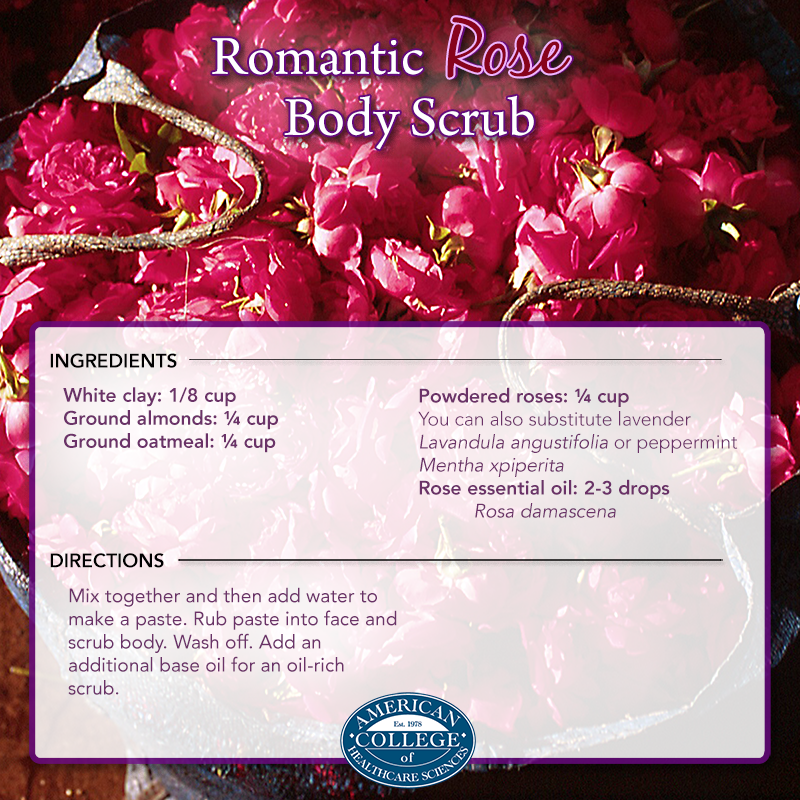 Celebrate this holiday of love—and some sweet self-care—with rose R. damascena essential oil. If you’re a budding aromatherapist, natural products manufacturer, or perfumer, rose R. damascena essential oil is a standard floral for your tool kit. When 100 perfumers were asked to select a standard for a floral aroma, they chose Bulgarian rose. Rose oil has a warm, deep floral, slightly spicy, rich, honey-like odor. The absolute is unique in that it has a high tenacity alongside a deep, rosy fragrance. Distilled rose otto has more of a top note, and absolute rose has more fixative power. carvone and rosefuran) are all important for perfumery. chamomile (Roman) Chamaemelum nobile (L.) All. My all-time favorite—which is super quick, easy, and simple—is a blend of rose R. damascena and neroli C. aurantium var. amara. Don’t forget: less is more. A small quantity goes a long way in your rose essential oil blends. The suggested use level is 0.02-0.05 mg%. 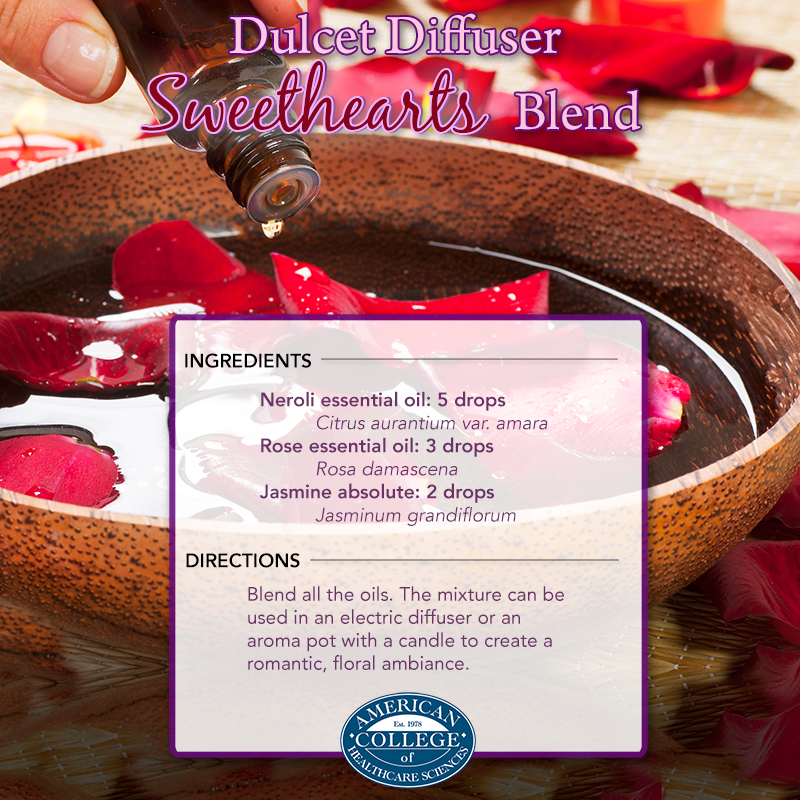 Valentine’s Day is almost here, so let’s get blending! Here are three recipes with rose essential oil that are sure to make you feel like falling into a bed of roses this holiday. 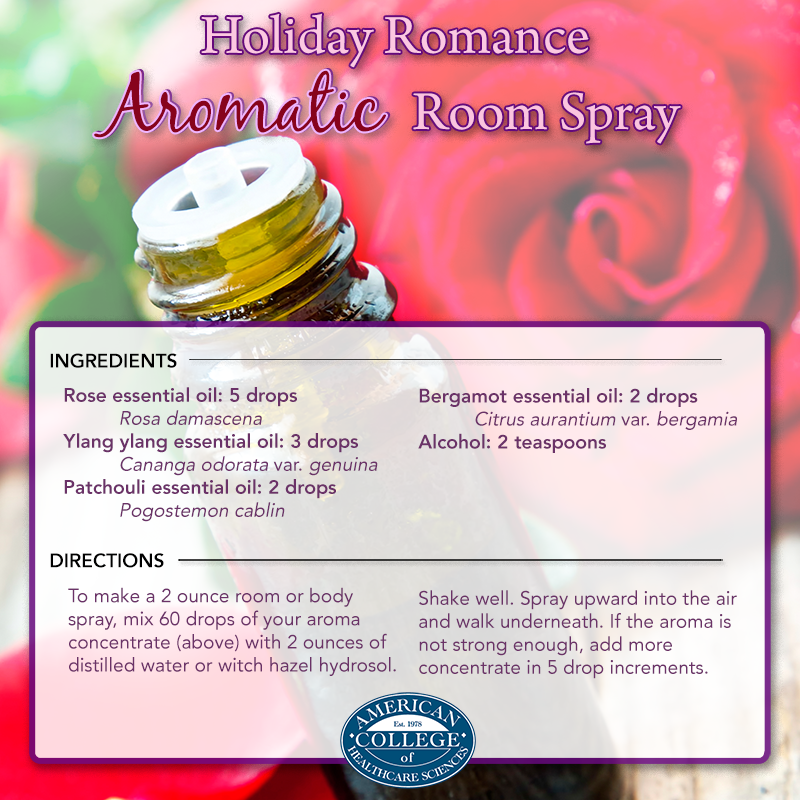 To make a 2 ounce room or body spray, mix 60 drops of your aroma concentrate (above) with 2 ounces of distilled water or witch hazel hydrosol. Shake well. Spray upward into the air and walk underneath. If the aroma is not strong enough, add more concentrate in 5 drop increments and test again. Mix together and then add water to make a paste. Rub paste into face and scrub body. Wash off. Add an additional base oil for a moisture rich scrub. Blend all the oils. The mixture can be used in an electric diffuser or an aroma pot with a candle to create a romantic, floral ambiance.